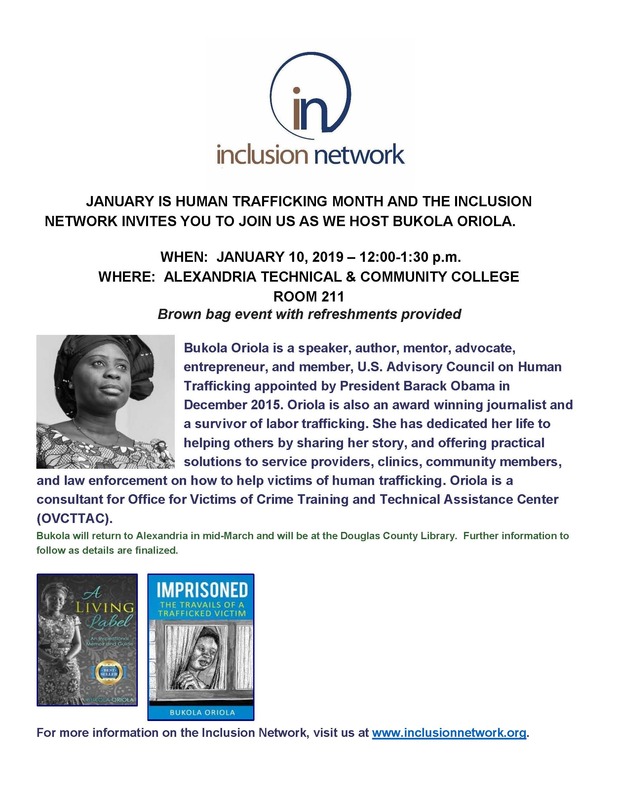 JANUARY IS HUMAN TRAFFICKING MONTH AND THE INCLUSION NETWORK INVITES YOU TO JOIN US AS WE HOST PRESENTER, BUKOLA ORIOLA, AN AUTHOR AND SURVIVOR OF LABOR TRAFFICKING. This event is free and open to the community. 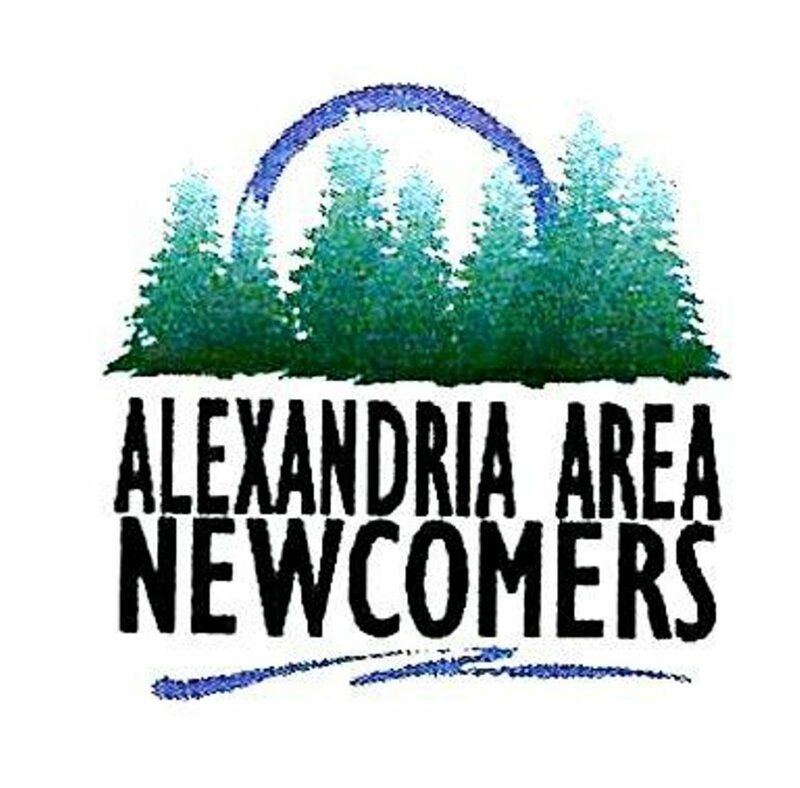 It will be held on Thursday, JANUARY 10, 2019 – 12:00-1:30 p.m. in Room 211 at ALEXANDRIA TECHNICAL & COMMUNITY COLLEGE. Feel free to bring your lunch. Coffee, water and cookies will be provided. There will be ample parking in the college north lot.